The battle ground country club in Manalapan NJ is an excellent choice for a venue. This is where I shot this image of the groom. As a wedding photographer one thing i always look out for are reflections. 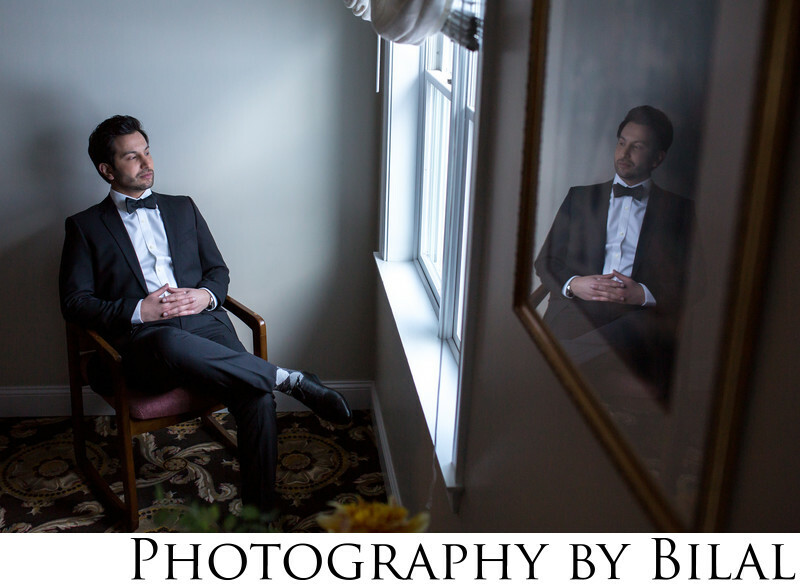 That's what I love about this image-the grooms reflection and his expression as he's casually gazing out the window. Location: 1 covenhoven Rd, Manalapan, NJ 07726. Keywords: afghani wedding (6), desi wedding (6), indian wedding (51), nj wedding photographer (81), photography by bilal (24), reception (6), shia wedding (6), wedding (9).